You are noticing that your cat is behaving differently as well as not responding properly from a few days. It might be that your cat is suffering from any kind of illness but you are not being able to find out or you haven’t noticed it yet. In such a situation you have to know the reason behind it. There are some common cat illnesses and some symptoms which seem to be normal. However, you are required to figure out your cat’s problem so that it can be treated properly as well as on time. In case your cat is going through a urine tract infection its symptoms are similar to the humans. Just like humans, your cat will go frequently to the litter box for urinating and you can see some unusual signs in your cat while urinating because of some pain. It should be an indication for the cat owners and you should hurry for the Vet. The best way to help your cat is that start observing your cat if you notice it going to litter box too often than usual. Sometimes it becomes very much painful as well as dangerous as it blocks urinary tract completely. It is considered as the most common cat illnesses. Diabetes in felines is considered as the most common cat illnesses. And symptoms are just like in the humans. The symptoms include frequent urination, loss of weight, and increase in the appetite. On the other hand you will also notice excessive thirst in your cat which is considered as the most common symptoms of diabetes. It will also cause hair loss in your cat in case you notice any such symptoms just contact a vet tackling cat issues. Big fat cats are supposed to be more affected with this problem. The feline panleukopenia is most commonly known as the feline distemper. It is one of the common cat illnesses caused by virus transmission because of infected litter box, food or water. The most common symptoms are diarrhoea, vomiting, loss of appetite, lethargic, dullness of fur. It is considered as a deadly disease but the good news is that you can prevent your cat by vaccination from this disease. 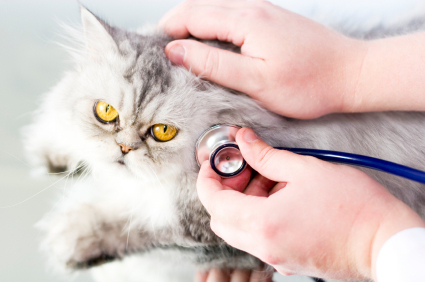 You can also find some infection issues among the common cat illnesses. 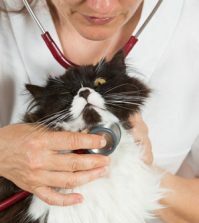 On the other hand these issues are very hard to diagnose or notice but as an owner it is your responsibility to take good care of your dear pet. Pets are supposed to be like small children who are speechless and can’t explain their pains and problems. It is your duty to find out what is wrong with your lovely pet and try to give them relaxation as soon as possible by providing proper as well as timely treatment.